A couple of days ago Bubble and Sweet was lucky enough to be involved in a gorgeous photo shoot involving La Toriana, Naomi V Photography and Ah-Tissue pom poms. Now I know this is a baking blog, but I have to mention the children's clothing, I have been a customer of La Toriana for years and they always manage to source the most amazing emerging designers. 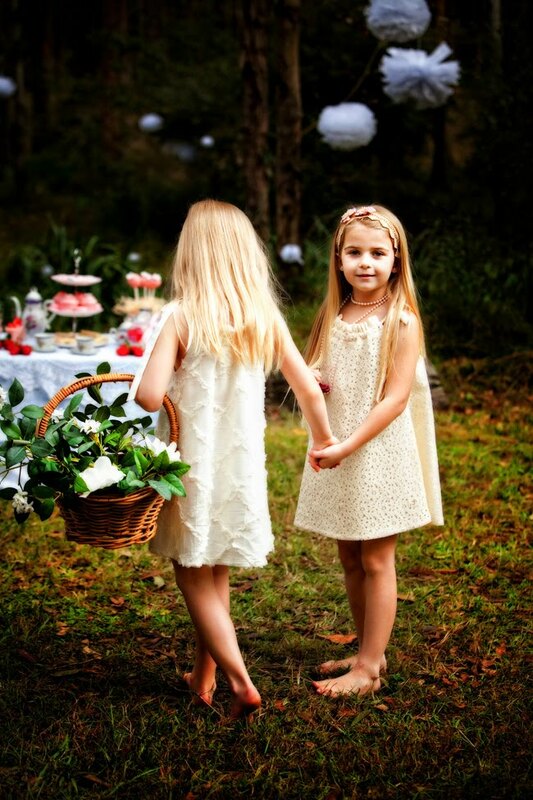 The dresses above from Little Miss J are so pretty and well made with lovely fabric and they are Australian Made. Of course all these superb pictures are by Naomi V Photography Brisbane Photographer. 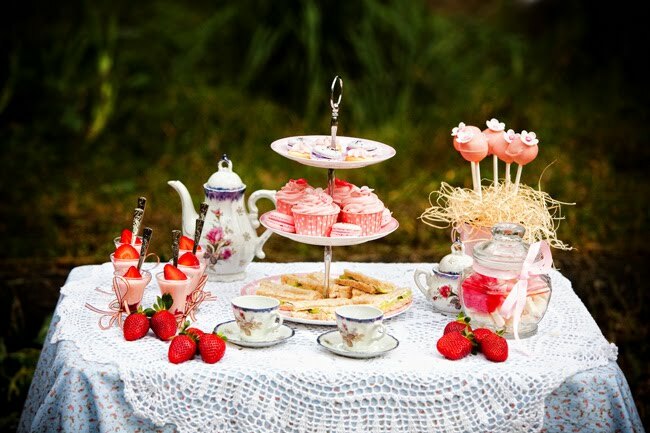 What a wonderful teaparty idea! Your sweets are a perfect complement! Lovely read and good clicks. Everything was perfect and everything I was hoping for, even more! The way you had styled the table, the food, was so amazing. I cannot thank you enough! What a beautiful photo shoot. I've only just come across your blog via a US site Frost Me, it's great to see so many Aussies being shown on US blogs. Haven't finished looking thru your blog yet, but so far its been beautiful. Wow, gorgeous. The food and clothes look amazing. 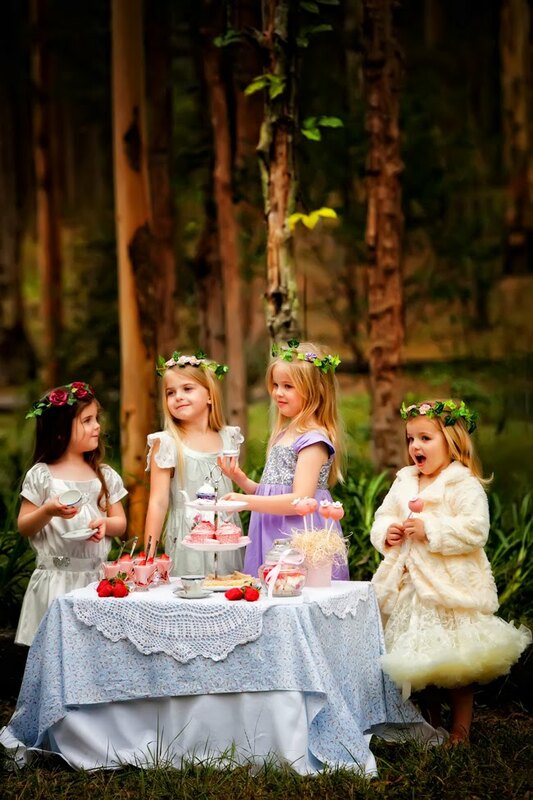 what a wonderful tea party, wish I will be there too. And the gals, they are looking like fairies in the forest, such beautiful angels and pretty shots! I have a electronic gadget store and I would like to write some blogs to drive more traffic and sales. Thanks a lot for giving me idea.